Paralysis accompanied with coldness, numbness and tingling, from exposure to dry, cold winds, especially in acute cases. Paralysis caused by cold, damp weather or by sudden changes from hot to cold weather or caused by lying on the damp ground. Not so suitable to chronic cases. It is especially useful in the paralysis brought on by getting wet or exposure to dampness in any form. Also useful in paralysis caused by intermittent fever or typhoid. Lameness in extremities and joints with stiffness, worse on rising after having been seated for a long time. It suits particularly chronic cases. Paralysis caused by cold air, after typhoid, diphtheria etc. Paralysis of single part face, tongue, pharynx, eyelid. It is indicated in paralysis which spread from below upwards. Trembling rank the highest in this remedy. Paralysis with constant tremors of muscles. Complete relaxation of entire muscular system. Sensation of heaviness in limbs. Muscles weak and unable to obey the will. It is one of the best remedies in post-diphtheritic and in infantile paralysis of the larynx. The onset of the paralysis is gradual. It is, especially indicated in paralysis of face, tongue and of pharynx, so that he has to speak slowly and has difficulty in swallowing. It is especially indicated in the beginning of the trouble. It is especially indicated when the lumbar region of the spine is affected. There is excessive and rapid emaciation of the affected parts. Paralysis of upper and lower limbs. Sense of weariness and weakness all down the spine. Violent pain in paralyzed parts. Painful drawing in face. Inability to close the eyes. Distortion of mouth to one side. Difficulty in talking and swallowing. 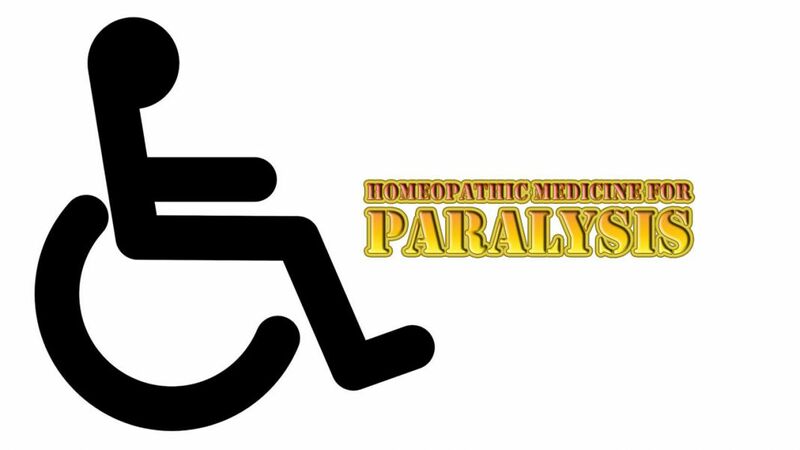 Paralysis following apoplexy in old people. Paralysis of tongue of upper and lower extremities. Weariness, constant inclination to lie down. Paralysis of the left side of the body; later extending to right side. Trembling of the hands in drunkards.